When you think of the Caribbean you imagine pictures of the ocean, beach pictures and ocean view pictures. These images can inspire thoughts of exotic locations and fun-filled vacations. Luckily all these do exist. 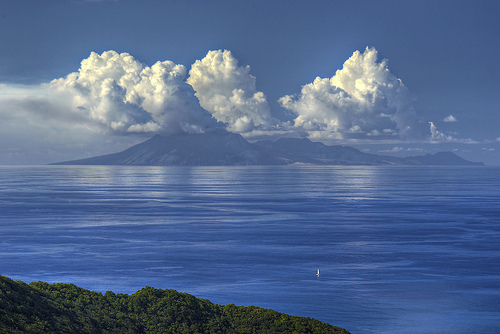 Many Caribbean islands treat you to the adventures that fill your imagination and wildest dreams. I have a few of those images here. Hopefully you too can take that Caribbean vacation you always wanted. 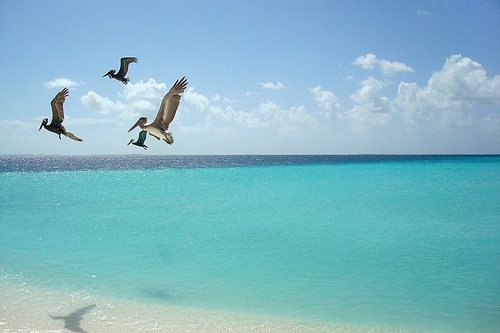 Wonderful colours and composition of pelicans taking flight at Madrisqui, Los Roques, Venezuela. Simply a stunning and tranquil photo of Monsterrat. This gorgeous picture was taken off the shores of the Isla de la Juventud ("Isle of Youth) the second largest Cuban island. 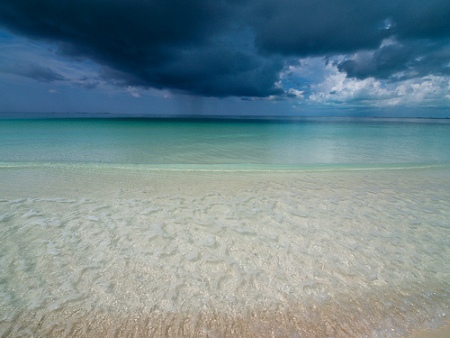 Even with the rain clouds in the distance, the waters look soooooo inviting!